Formed only in 2004 Brackenbury Engineering Ltd are now regarded as one of the leading suppliers of new & used potato & vegetable handling machinery in Europe & further afield including an Onion grader sent to New Zealand. 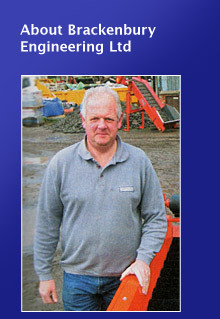 With over 35 years experience & knowledge of the industry all machinery is sourced & sold by David Brackenbury personally. Everything is electrically checked by experienced personal before despatch.